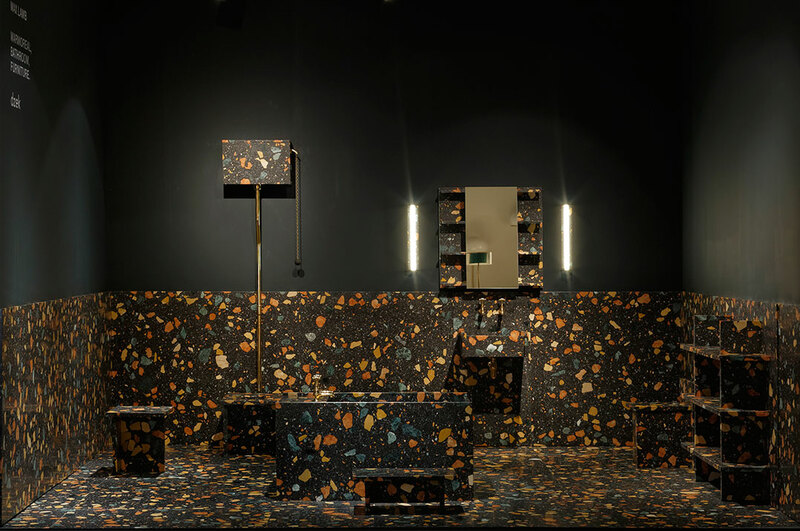 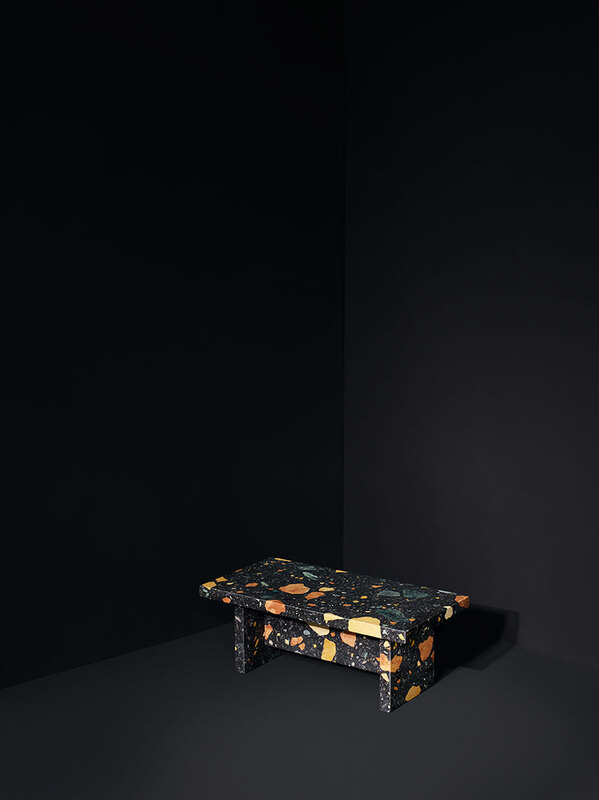 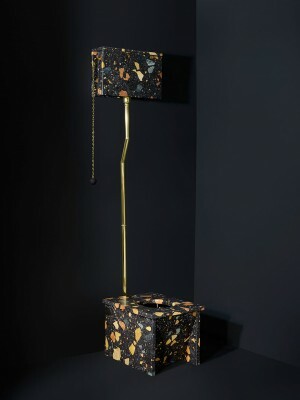 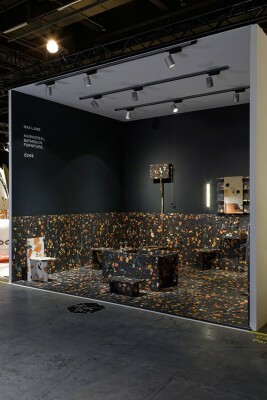 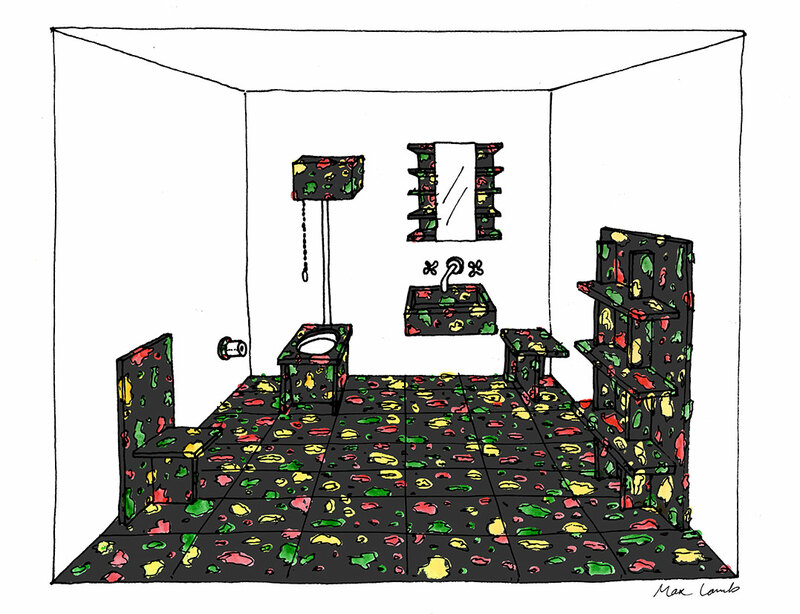 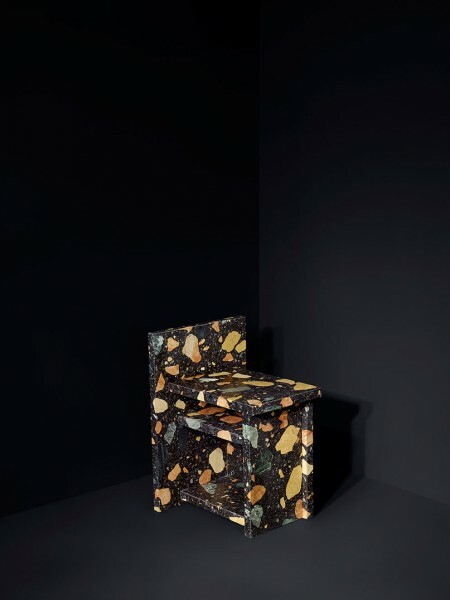 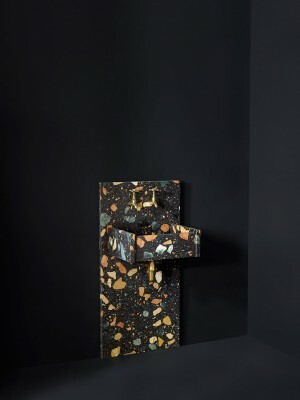 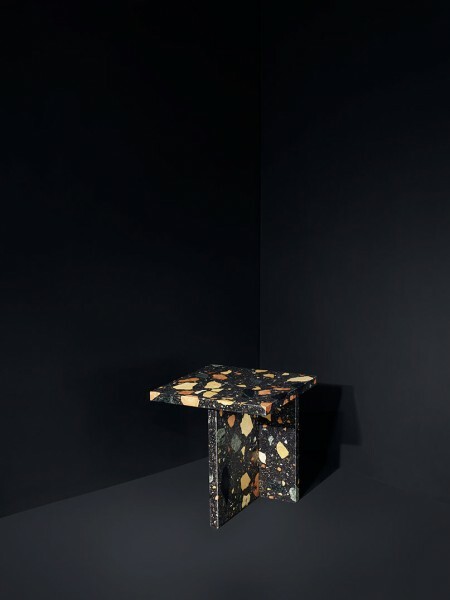 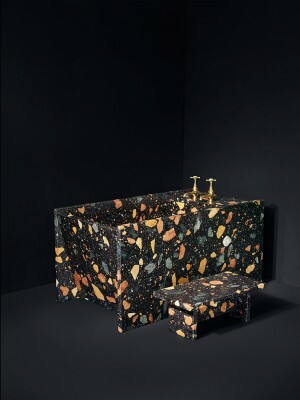 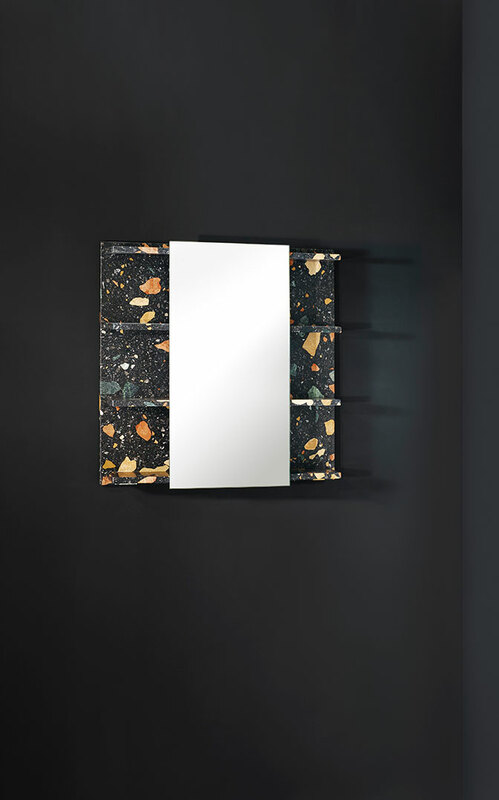 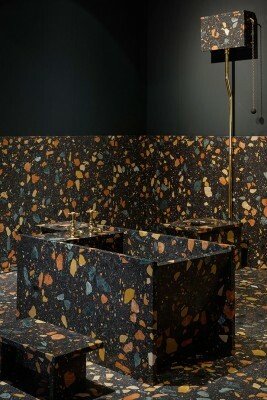 Dzek is pleased to present Marmoreal, Bathroom, Furniture by Max Lamb at Design Miami/Basel. 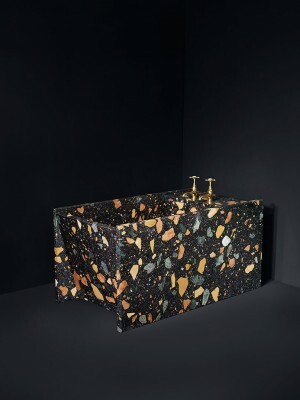 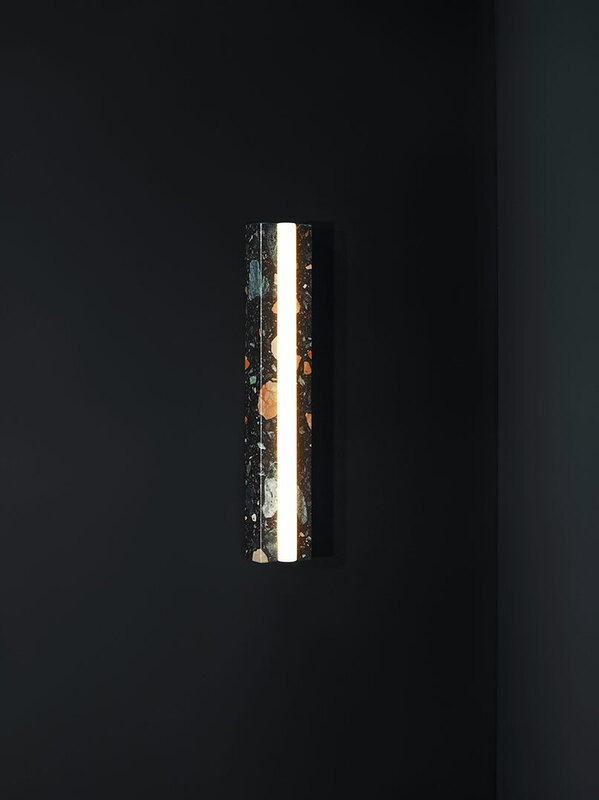 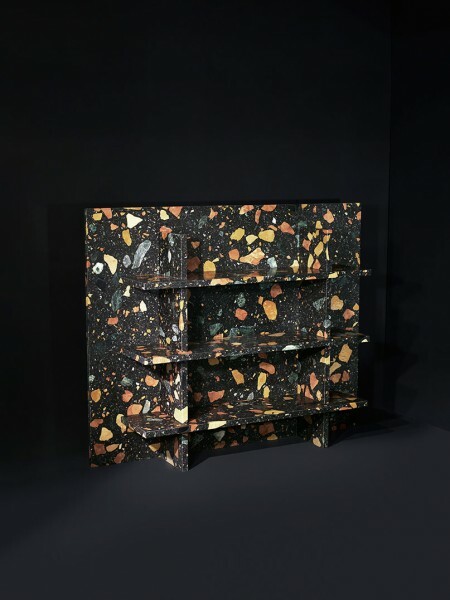 The installation will address material design, bathroom furnishings, and interiors and features a new black Marmoreal engineered marble also created by the British designer. 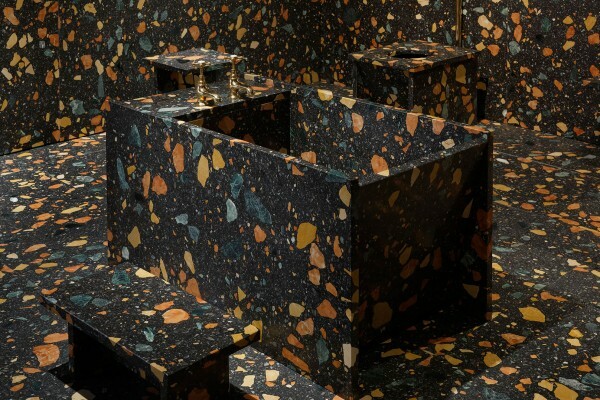 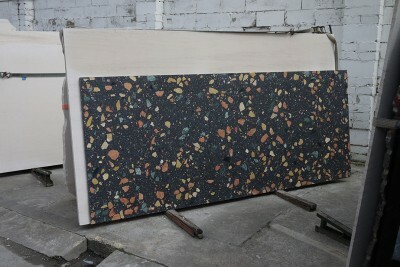 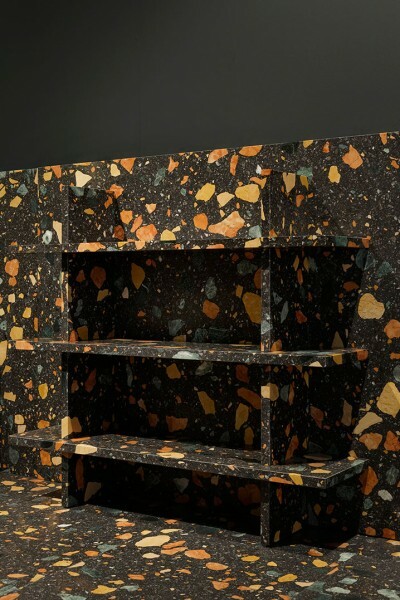 Marmoreal is an engineered marble devised by Max Lamb in 2014. 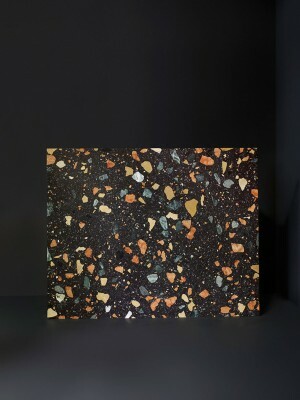 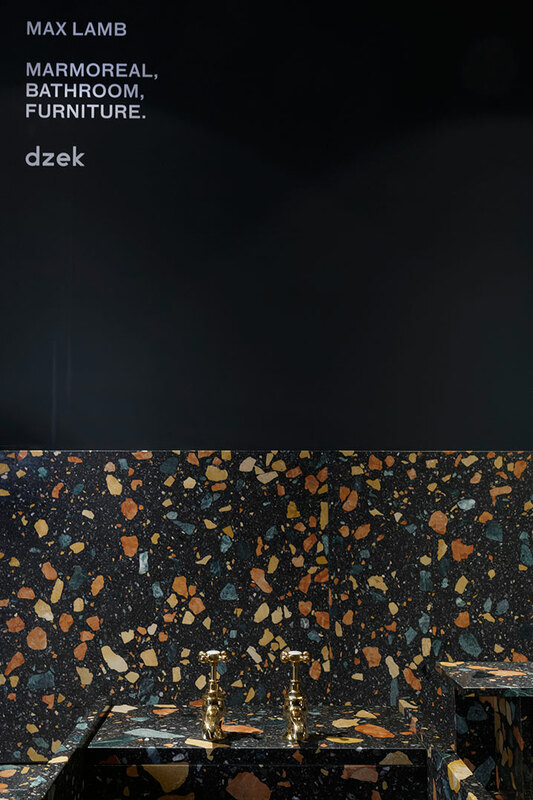 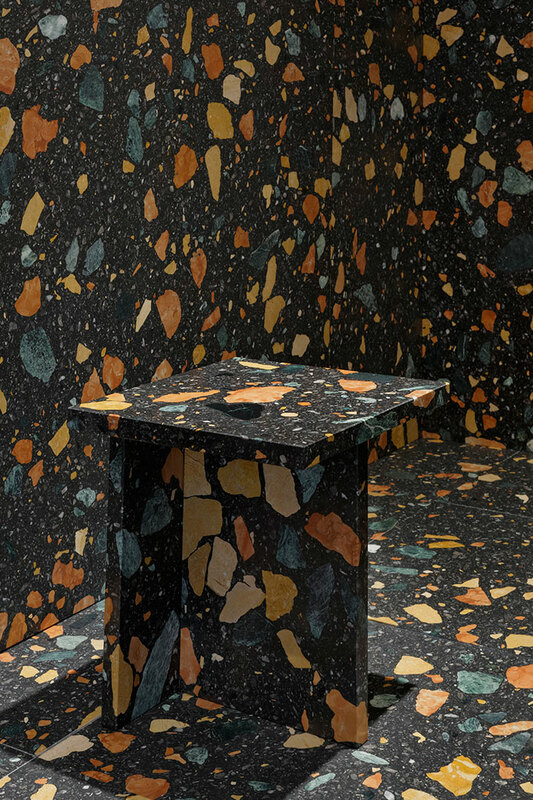 Suitable for both interior and exterior architectural surfaces, this large aggregate pre-cast marble terrazzo offers an original material language with immense visual value. 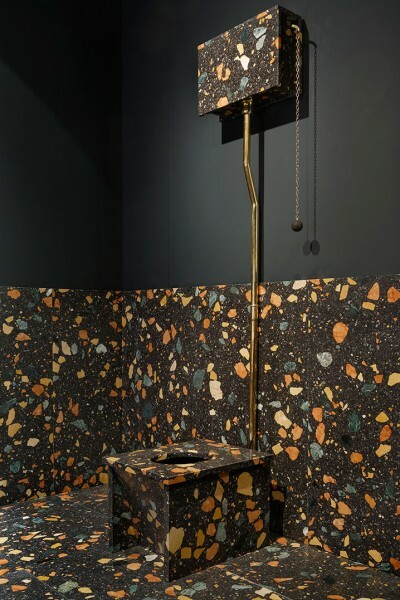 It skillfully balances 15th-century craft traditions with modern engineered-stone technologies in an approach that is architectonic and sculptural. 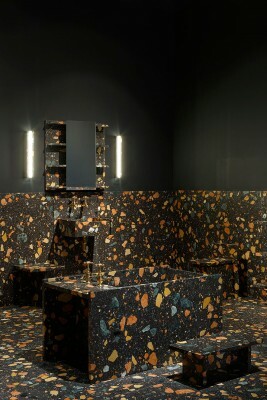 Marmoreal is available in a black or white marble background and an edited range of standard tile and slab dimensions.